RJ Marine is located in downtown Clayton. 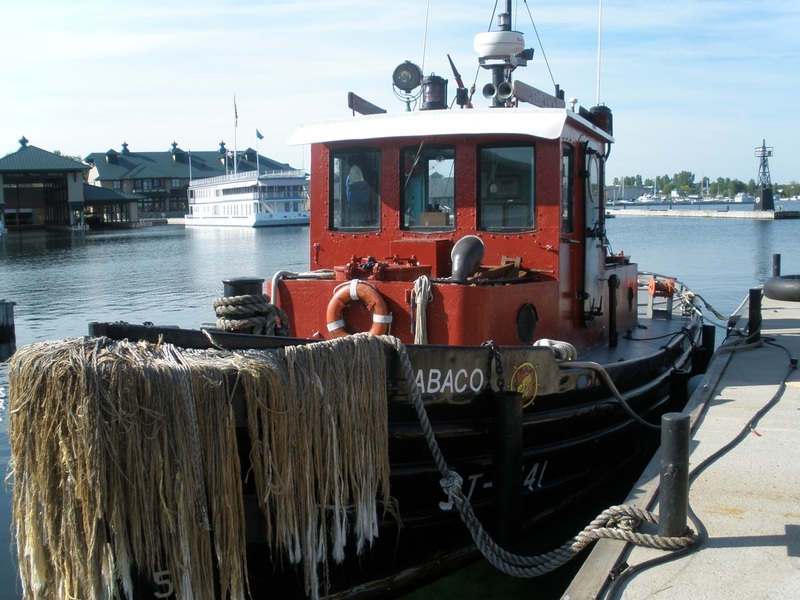 The founders, as well as the current owners of RJ Marine Associates Ltd, have been serving the communities along the St Lawrence River and Lake Ontario for over 50 years. From families to contractors, from fish stocking to cable laying, from bicycles to cranes, we have moved it all. Bring us your cargo; we provide safe economical passage for all of your marine transportation needs and have fun doing it! in between. That's over 30 years of pretty unique experience that goes into every project we do. If it is commercial and on the water in our area, chances are we have done it, supported it, moved it, or consulted on it. Rescuing a disabled tug 40 miles out on Lake Ontario. Did we mention it was on fire and abandoned? And this is just the beginning. Don't forget to ask about the pirates. And the iguana!